The forthcoming General Election has put paid to plans for a large hike in probate fees – for the time being, at least. 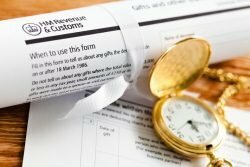 The government had been planning a significant increase in probate fees from May, but these plans have been shelved because the relevant statutory instrument – a form of legislation that allows a parliamentary act to be made or altered without a vote by MPs – will not be completed before the election. The Ministry of Justice scheme to raise £300m a year extra on the fees was authorised by the justice secretary, Liz Truss. When announced the planned increase proved controversial, with the Institute of Chartered Accountants in England and Wales calling it a “revenue raising exercise, unrelated to the costs of the service provided”. Others labelled it a “stealth tax”. Now the increase has been shelved, we keep the status quo for probate fees: a flat fee, payable on estates valued at or above £5,000, of £215 per personal application. For applications made through a solicitor, the rate is set at £155. The fee is in addition to any Inheritance Tax due. What were the planned probate fees? The new fee structure was due to be a sliding scale. The starting threshold was being raised to £50,000, thereafter the fees increasing according to the value of the estate, up to a maximum of £20,000 for estates worth over £2m. Whether or not the plan to increase probate fees is revisited after the June Election, it’s is clear that the government has this is its sights. So estate planning was never more important. Please do get in touch with the team to talk chat through estate planning.